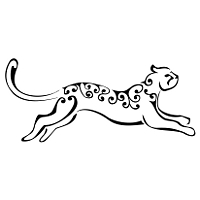 Leopards are among the biggest felines, and among the most used as a symbol of regality and power, appearing on this account on many ancient coats of arms. Many cultures consider them companions of shamans and leopard-men are held as men of magic and powers. 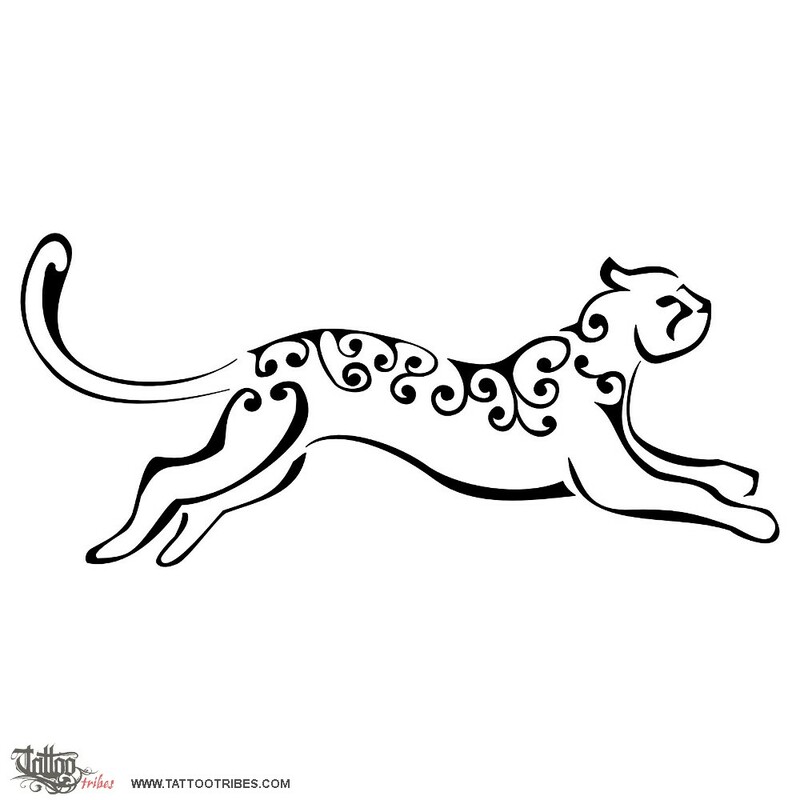 Karra requested a stylized and feminine design of a leaping leopard. 360+ pages in total, 600+ symbols and their meanings, 200+ dictionary entries to find the right symbols on the fly, samples, drawings and clear explanations!